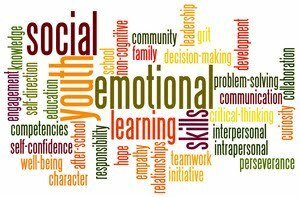 The role of a school social worker is to support children with social and emotional challenges that arise and interfere with their ability to function at school. I see many students throughout the week in both groups and on a one to one basis. I work with students who have an IEP or a 504. I also work with children that do not have any special education needs and are struggling with a social or emotional challenge. In addition I do a "push in model" where I go directly into the classrooms and do lessons to support social and emotional learning. I also do work on executive functioning skills to support organization and work output. The program that we use for the social / emotional model is called Second Step. Teachers provide instruction for this but I will also come into the room to offer instruction. In addition we utilize the model in social work. Under my resources you will find information about this program, and ideas to assist you with your child on this topic. In addition you will see under the resource tab a list of several therapist in the local area that offer social / emotional support. I will update my website often, with new links and ideas to support your children as we venture through the challenges of raising socially and emotionally aware children! If you are looking for any outside therapist please review the list I have under "resources". Love and Logic ® Institute, Inc.